I've been working on a few blogs lately, still working on some. But, I figured I'd share with you what I've recently finished. This is a screen shot from my friend Chrissy's blog- Everyday with the Jays. 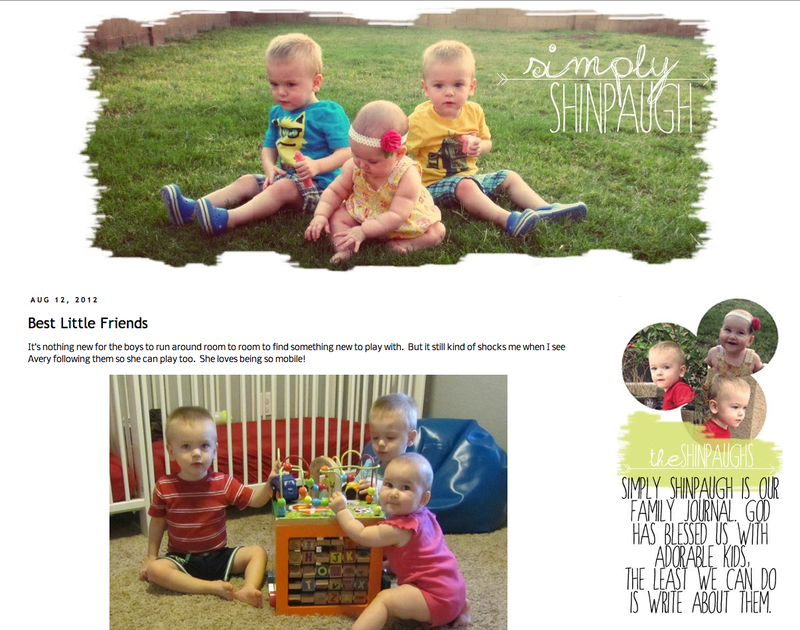 Go browse around her newly designed blog and leave her some love! This blog is Simply Shinpaugh. 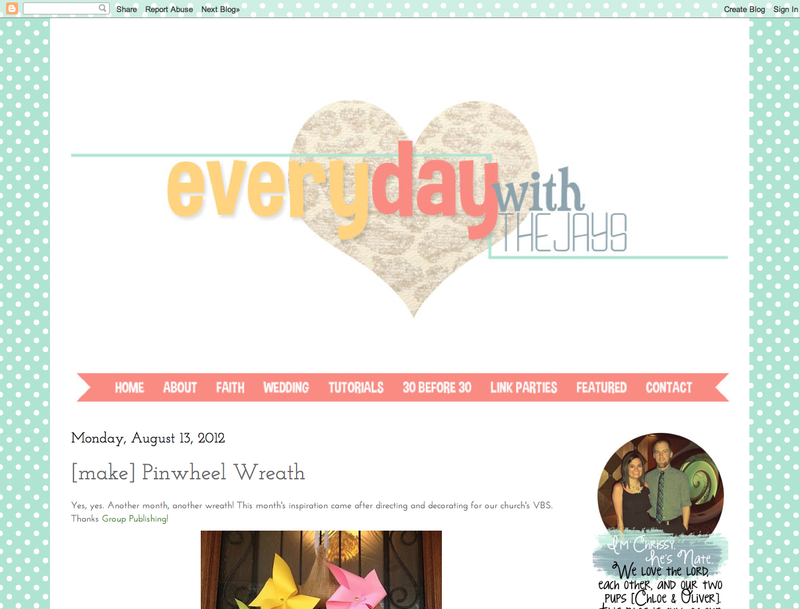 I didn't completely re-design her blog but I did a few of the details- header, about me section and titles. If you are interested in getting your blog re-designed, check out my design website to get my pricing and information. I'd love to work with you! P.S. I may or may not be working on something super exciting for our blog (oh so pretty)! P.P.S. 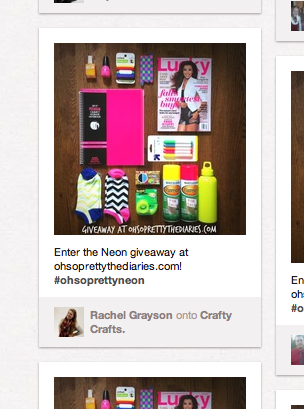 Rachel Grayson is the winner of our Neon Giveaway! 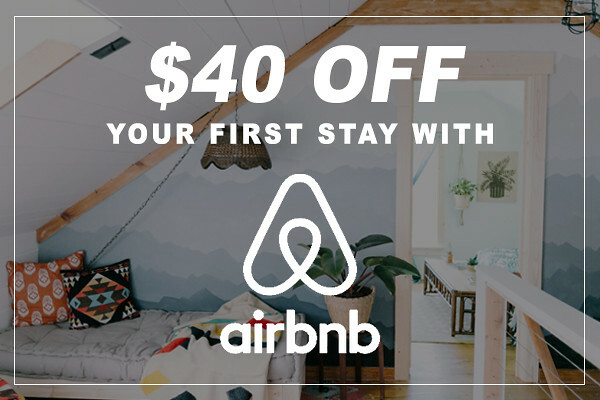 Please e-mail us to claim your prize! You did amazingggg! Thank you thank you thank you! I didn't know you did site work...I may have to write you...have some changes in mind for my blog. the DIY: REMOVE THAT GLITTER! want TO SPONSOR OH SO PRETTY? pin IT TO WIN IT: NEON GIVEAWAY!